Despite the rise in popularity of home espresso makers and coffee capsule machines, the drip coffee maker remains a firm favorite in many kitchens. 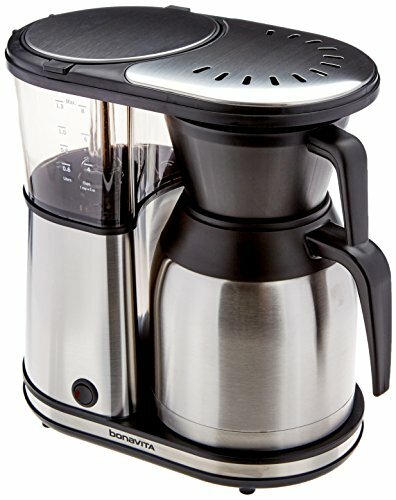 My ideal coffee maker has a 12-cup carafe, an automatic shut-off feature, and can be programmed to brew automatically. My sister needs her coffee maker to be compact, wants variable heat settings and she doesn’t want to spend more than $40. What does your ideal coffee maker do? I’m tired of reading articles about “The Best Drip Coffee Makers” because invariably the first option costs hundreds of dollars and has features I don’t need. That’s not the best for me! “Best” is subjective based on your circumstances, and there is no one clear winner. My plan today is to lay out some of the best drip coffee makers that I’ve found, and who knows—maybe you’ll agree and find your match! 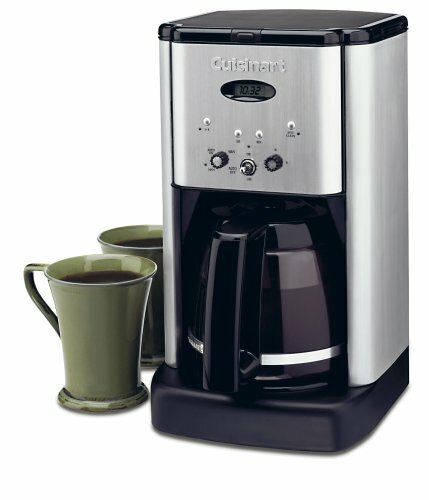 Before we start shopping, let’s decide what you’re looking for in a coffee maker. A drip coffee maker, also called automatic drip machine, is the most popular way to brew a cup of joe today. 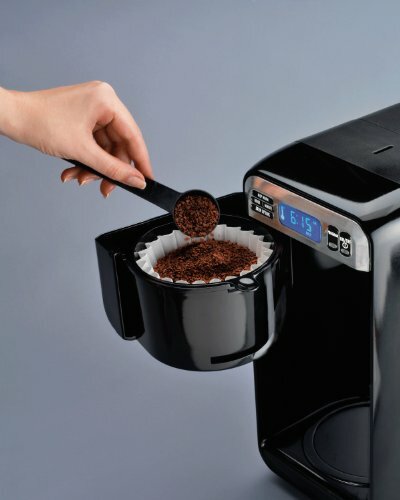 You fill a chamber with water, put the desired amount of coffee grounds into the filter basket, close the top and hit a button to begin the brewing process. The average brew time is between five and six minutes, with most machines producing coffee between 195 and 205 degrees Fahrenheit. You might only drink a cup a day, but what about when you entertain? You need something big enough to handle both your regular routine and accommodate larger crowds. While even the biggest machines aren’t terribly large, they still will take up counter space in your kitchen. Before you begin shopping, decide where you want to put your coffee maker and write down the dimensions, including the height of the space, of where it will reside. Many times, people forget that the cupboards above the counter can make using the coffee maker difficult if you regularly need to move it to add water. Also, taller models may not fit under low-hanging cupboards. Do I need an automatic shut-off feature? Do I want variable temperature settings for my water? Would I use a thermal carafe? Do I need a pause and serve feature? Is programmable brew strength important to me? 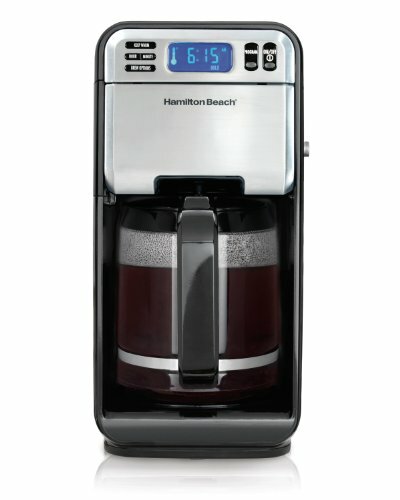 Would I like an automatic brewing feature? Once you have answered all those questions—it’s time to start shopping! 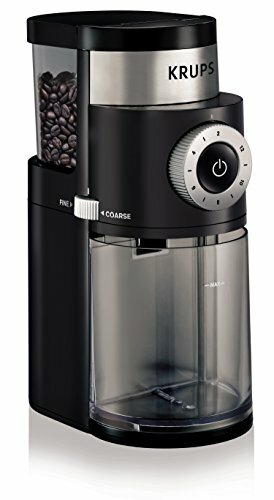 I have found the best coffee makers available right now based on reviews from online coffee fanatics and people in the coffee industry. I’ll first give you a snapshot of two of the best: the best drip coffee maker for under $100, and the best one for under $50. Then I’ll highlight a couple more models that caught my attention for their value, size, and unique features. At the end of the piece, I’ll provide a cheat sheet to compare the models at a glance. Let’s get started! I own this machine and love it. I’ve never been disappointed with the quality of the brew, and it’s easy to clean and maintain. It also looks great on my counter. Personally, I had a great customer service experience with Cuisinart. I cracked the carafe by accident and called their customer service line to order a new one. The customer service representative insisted on sending me one free of charge, even though I made it clear it was my fault. I have since purchased several Cuisinart products because of that experience, and the quality of their products. And no, I am not in any way affiliated with Cuisinart; just a big fan. PROS: Many people commented on how smooth the coffee tastes, with some accrediting it to the charcoal filter. They enjoy the brew pause feature, especially first thing in the morning when it’s hard to wait for a cup. I read a lot of reviews of people that have purchased the same model twice (as have I) because they believe it’s the best drip model on the market. CONS: Some people don’t like the five-beep notification that lets you know the coffee is ready after brewing. There were also people claiming that the carafe drips on the counter while pouring. That has happened to me occasionally; usually when I’m in a rush to fill my cup. PROS: Reviewers online love how easy it is to use, program, and clean. They like how the water reservoir lifts out of the coffee maker so you can fill it at the sink rather than bringing water to it. It also has swivels on the bottom of the unit that makes it easy to move it on the counter. Many people said it made a good cup of coffee and claimed it has never let them down regarding reliability. There is a pause and serve feature, and an adjustable keep warm option that many users applaud. CONS: Some people claim it takes a while for the coffee to brew. There were also some negative reviews because it does not come with a reusable filter. Verdict: If you like your daily cup but don’t want to spend a fortune on a machine, this one is for you. 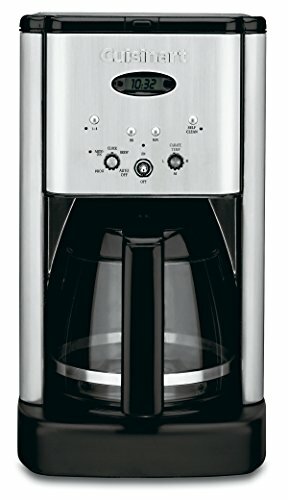 PROS: Reviewers love this coffee maker because of its compact design and for its consistency in never failing to brew a quality cup. There is a “bloom” feature that soaks the grinds during the brewing process that brings out the flavor of the beans and enhances the taste of the coffee. 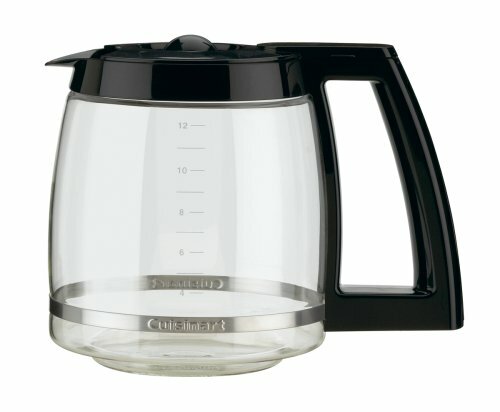 Some reviewers claim that the thermal carafe doesn’t allow the coffee to burn as it does in similar glass carafes. CONS: One reviewer said you must hold it upside down to get the last drop of coffee out of the carafe which he found to be annoying. Another said he questioned whether the coffee reached the water reaches 195 degrees Fahrenheit. There is also only a two-year warranty. Verdict: If you have the money to spend, this is an excellent drip coffee maker. The bloom feature alone makes me want to buy it. 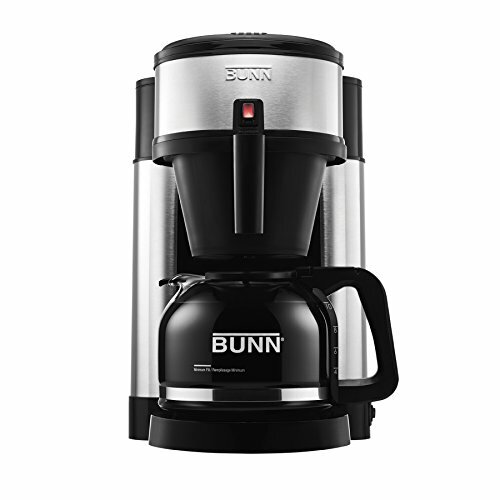 PROS: The BUNN NHS claims to be the fastest 10-cup home coffeemaker brewing a full pot of coffee in three minutes. After trying several different brands, one reviewer claims this is the closest commercial grade coffee brewer available for use in the home. Many reviewers said the coffee is exceptional, creating a flavorful cup each time. CONS: For optimal use, the machine must always remain on to keep the reservoir water warm for the next time you brew. If not, the coffee won’t be hot after your three-minute brew. PROS: This offers two ways to brew with a 12-glass carafe option or a single serve option. The single serve can brew up to 14 oz. perfect for a travel mug (the one pictured is not included) and it has an adjustable stand for shorter mugs as well. 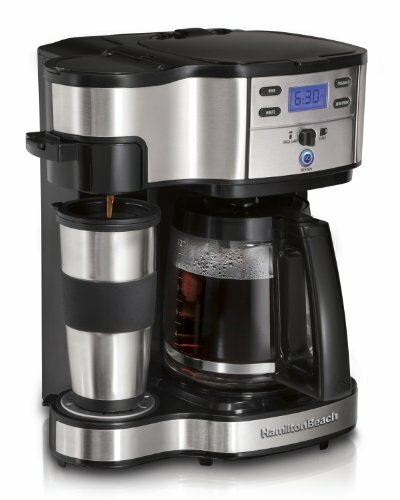 Reviewers like the versatility of this unit and its programmable features that include a brew strength selector and scheduled brewing capabilities for up to 24 hours beforehand. CONS: There is no permanent mesh filter on the carafe side unless you purchase it separately. Some people assumed they could use K-Cups in this single-serve side which is not the case. PROS: The size, price, and utility of this machine have more than 3,500 Amazon reviewers giving it on average a 4.2/5 rating. This maker is ideal for those not looking to brew regularly, but like to have it available when they want it. Many call it simple, compact, efficient with some saying they purchased it specifically to use it while traveling. CONS: Some say it is too small and that it needs to be cleaned more often than its larger counterparts. If you genuinely care about brewing the best cup of coffee, you must grind your own beans. Sure, it’s easy to buy a bag of pre-ground beans and call it a day; but you sacrifice taste. After grinding, volatile flavor chemicals oxidize and degrade in hours. Manufacturers try to lock in the freshness with fancy bags, but the reality is, once you open these bags at home you have one, maybe two good pots before the entire bag of coffee grinds go stale. Trust me. The KRUPS GX5000professional electric coffee burr grinder is loved by coffee enthusiasts for its precision grinding and variable settings. There are nine grind levels to choose from whether you need an extra fine grind for espressos or a coarser grind for a French press brew. This grinder features a clear bean container that can hold two to twelve cups at a time. Reviewers love that the burr mill system has an automatic stop function prevents the grinder from overheating, and praises the grinder for its dependability. One user said he’d used it ten times a week for over twelve years and it still works great. Overall, 9,916 reviews gave it 4.3/5 stars. This burr grinder sells for $49.99 and is worth every penny, in my opinion. You can buy the best coffee machine money can buy, but your coffee will only be as good as the bean you brew. Invest in your cup! You’re worth it! I hope you found this information useful, and you are ready to buy your next coffee maker (and grinder). Happy shopping!